A soothing body scrub to nourish, refine and hydrate, leaving skin soft and glowing. Natural Sea Salts sweep away dry, dull skin, Sweet Almond Oil nourishes and hydrates while Bay and Lavender calm the senses. Suitable for all skin types, especially dry, rough skin or those who need to unwind. Once or twice a week, massage into dry skin in upward circular movements. Pay particular attention to any dry areas, then rinse thoroughly. To enhance the benefits, follow with Soothing Body Oil. Take care: This product contains natural Sea Salt and therefore may contain a number of small stone particles. Do not use on sore or broken skin. Take care not to slip when leaving the bath or shower. Sodium Chloride, Sea Salt (Maris Sal), Prunus Amygdalus Dulcis (Sweet Almond) Oil, Helianthus Annuus (Sunflower) Seed Oil, Caprylic/Capric Triglyceride, Tocopherol, Limonene, Citrus Aurantium Dulcis (Orange) Peel Oil, Eugenia Caryophyllus (Clove) Bud Oil, Lavandula Hybrida Oil, Rosmarinus Officinalis (Rosemary) Leaf Oil, Eugenol, Eucalyptus Globulus Leaf Oil, Juniperus Mexicana Oil, Pelargonium Graveolens Oil, Linalool, Geraniol, Citronellol, Citral, Cinnamomum Zeylanicum Leaf Oil, Cymbopogon Nardus (Citronella) Oil, Lavandula Angustifolia (Lavender) Oil, Litsea Cubeba Fruit Oil, Zingiber Officinale (Ginger) Root Oil, Vanilla Planifolia Fruit Extract, Mentha Arvensis Leaf Oil, Pimenta Acris (Bay) Leaf Oil. Its my second scrub previously I bought detoxifying one, both makes you feel great. The salt softens skin and than wrap it in divine oils. Love it its so luxurious, a little miracle ! This product is amazing! It’s a must have if you want that ultimate pamper, my skin has never felt so soft or smelt so good. By far the best exfoliator I have ever used. I first tried this product as part of a spa day where the therapist used this all over my body. I loved the product so much I had to order some for home. My arms are particularly rough (that ‘chicken skin’ look!). So much so I hated wearing sleeveless tops. Using this scrub, my arms feel much smoother and softer than they ever have. The improvement is unbelievable - and I don’t feel I need to cover them up. The scent is relaxing and makes you feel like you’re back at the spa! 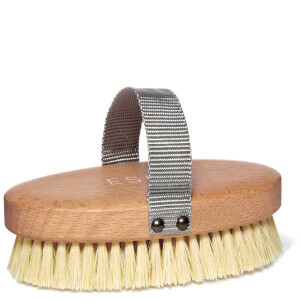 I would highly recommend this product and even though it’s a little more expensive than my usual products, the luxurious quality just makes it worth the extra expense. I've been using this scrub religiously for over 5 years now . It's a touch of indulgence and tender loving care in a jar. 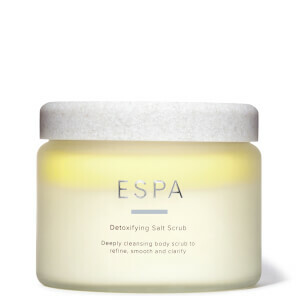 Was treated to a Spa day and ESPA products were used which I found amazing on my skin so when I got home I couldn't wait to order this. Fantastic range of gorgeous and effective products.